The NEW iPhone 8 with back and sides embellished in either 24k Gold or Platinum. 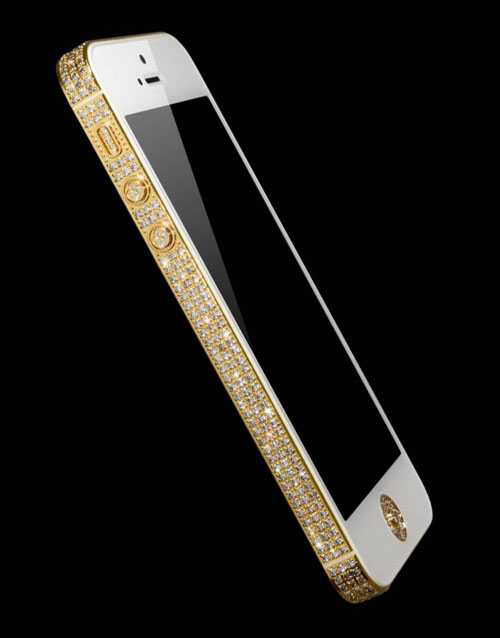 Be dazzled by the 24K gold iPhone 8 from Alchemist. Not everyone gets to experience luxury in its truest sense but when you indulge and buy the 24K Gold iPhone 8, you know you have made it with the ultimate Luxurious Handset. You will enjoy storage of 256 GB. More than enough for a lifetime of space. Just envisage the 4.7-inch screen surrounded by gold in your hand. It is certain that you will have a great feeling. Other than that, this phone has a resolution of 1334×750 that provides mesmerizing visuals to any viewer. You will not have any problems with the 1821mAH battery that the handset holds. 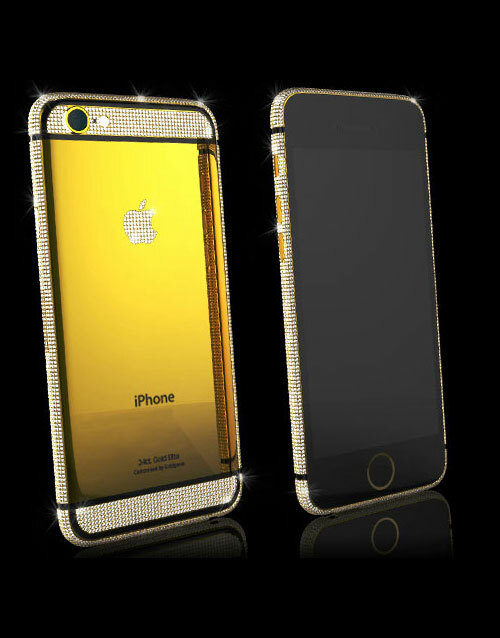 You have the option of customizing your phone with Platinum, Swarovski, Full Swarovski as well as 24K Gold. 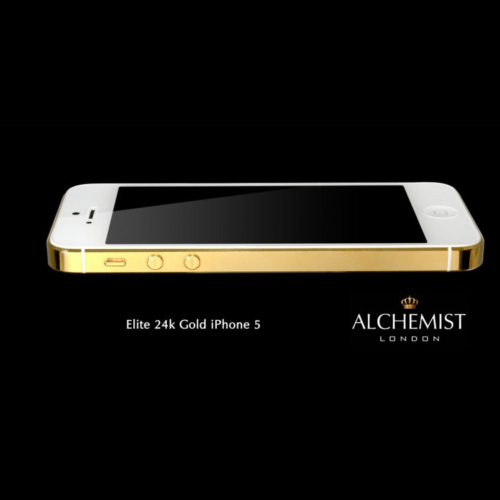 Consider indulging in the Alchemist’s finest piece, the 24K gold iPhone 8 to get a firsthand experience of its power and beauty. That is so because this 24k Gold iPhone 8 is one of the most powerful iPhones present in the market. It has a 2 GB RAM which is more than enough for most’s requirements. It will ensure all your applications run smoothly simultaneously without causing any slowdown. You will be able to take attractive pictures with your Gold iPhone 8, as it has a 12 MP rear camera and a 7 MP front camera. Both of them are capable of taking fantastic sharp photos. You also get the feature of wireless charging with this phone. This feature is relatively new and you get it only when you buy the 24k gold iPhone 8. With a Gold iPhone, you will easily become the VIP of your peer group. You also get the added benefit of this mobile phone coming SIM-free and factory Unlocked. This means you do not have to worry about compatibility as it works fine with all the networks present throughout the globe. It also comes with Lifetime warranty.